Before you read the 2008 story, why not check out the 2012 Salary Survey results. Click here to see why we say that salaries are moving ahead, slowly. As presidential candidates have learned, the state of the U.S. economy is taking center stage in this election year. While some observers say the performance may wind up wearing the mask of tragedy, chemical engineers appear to be more inclined to don the mask of happiness over their economic situations based on the results of the 2008 Chemical Processing Salary and Job Satisfaction Survey. For the third consecutive year, salaries, raises, bonuses and job satisfaction have shown improvement over previous years’ survey results. In the four years we’ve run the annual online survey, the average salaries reported have steadily climbed from $85,234 in 2005 to $95,231 this year (Table 1). Average pay increases were 3% in 2005 and are now 5.06%. The average bonus received has risen from $4,534 in 2005 to $6,561 today. This year’s overall results reflected general contentment. Survey results were collected from a link listed in the print edition of Chemical Processing, on the www.ChemicalProcessing.com, e-newsletters and e-mail blasts sent to readers. and many opportunities to do different things and move into related fields (including management). No job is worth having if you can’t enjoy most of it. There is no good job that you will enjoy every aspect of. That’s why they pay us,” says one. Table 1. Salary, raise, bonus and age information represent averages of the total respondents in each category. “Chemical engineering is a great field. It prepares you for many different challenging opportunities. I believe that our biggest challenge in the future is to stop using petroleum for travel so that the remaining barrels can be saved for use in manufacturing chemicals, plastics and pharmaceuticals,” offers another. reported having received a salary increase in less than one year (738 or 71.7%) compared to 2006 respondents when (770 or 63.5%) said the same. the survey has been conducted. Overall job satisfaction also improved (Figure 1) from previous years. An impressive 90% of respondents called themselves satisfied, with only 10% expressing dissatisfaction. Last year,7.9% of survey participants said they experienced a very high level of job satisfaction compared to 8.3% of this year’s respondents. Another 40.5% of this year’s respondents say their job provides a high level of satisfaction, which is an increase over the 38% reporting a high job satisfaction rate in 2007. This year, 41.2% of respondents say they are somewhat satisfied with their jobs which mirrors last year’s 41.5% who said the same. Fewer respondents reported a poor level of job satisfaction (8.2%) than those who reported the same in the 2007 survey (10.4%). There were also fewer respondents (2%) who say they have very poor job satisfaction compared to 2.4% in that category last year. Lack of recognition remains the leading downside most respondents identified about their jobs (Figure 2). This year, 41% of survey participants and in 2007, 41.2% most often identified lack of recognition as what they disliked about their jobs. The hours and workload was selected by 30.6% of participants as what they dislike most about their jobs. This was closely followed by the company work environment which rankled 28.7% of respondents most. Similar to last year, half of this year’s survey respondents say that negative public perception of the industry bothers them, while the other half say that it doesn’t (Figure 3). The same was true for those who responded to the 2006 survey. this year with equal numbers concerned and unconcerned about it. There’s no lack of confidence in chemical engineers job security (Figure 4). Most respondents (51%) believe there is either no chance or a very slight chance that they will be laid off within two years. Another 25% believe the chances of a layoff are slight, with 14.5% saying there’s a moderate chance, 2.8% believing it’s likely and 2.8% who say it’s very likely. However, respondents’ comments show a bit of uneasiness about the future. Figure 4. Respondents were confident they wouldn’t face job loss. Figure 5. Most respondents aren’t worried about their job security. We appreciate the answers and comments we received from all of this year’s survey respondents. Public opinion doesn't matter to most chemical engineers, according to the 2013 Salary Survey. Workers are split on job security. Readers weigh in on how secure their jobs are in the 2010 Salary Survey. 2010 Salary Survey: Readers Respond -- What Leads To Job Satisfaction? There are many ways to satisfy employees. 2010 Salary Survey: Readers Respond -- What do workers dislike about their jobs? What is there to dislike about jobs in the chemical industry? 2010 Salary Survey: Readers Respond -- How does public opinion weigh in on satisfaction? How the pubic perceives the chemical industry makes a difference to some workers. 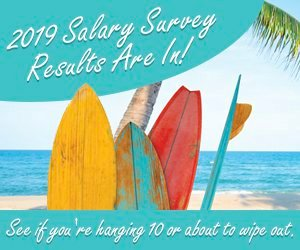 2010 Salary Survey: Readers Respond -- How has compensation changed? Salaries have decreased from previous years. Will they trend upward? Many engineers are stimulated by their jobs. Most folks are happy with their jobs. Nearly an even split on worries about what tomorrow holds. People want to feel appreciated for a job well done. Only a quarter feel there is a moderate chance they may be on the chopping block. Good news, many say they've received a raise. Not very many respondents are worried about what the public thinks of their work. Raises are slowly making a comeback according to the 2013 Salary Survey. The 2013 Salary Survey respondents note they are not worried about job security. Half of the 2013 Salary Survey respondents noted that they could get laid off or fired.